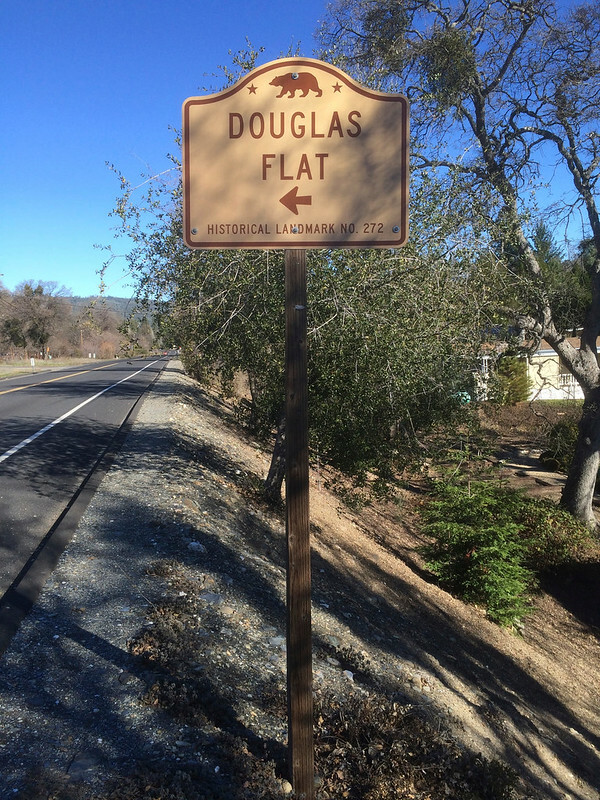 This landmark is located On State Highway 4, Douglas Flat, California in Calaveras County. There are 40 other California State Historical Landmarks in Calaveras County. The GPS coordinates for this location are N 38° 07' 01.0" W 120° 27' 15.2". Douglas Flat was a roaring mining camp of the early 1850s. In 1857 the Harper and Lone Star Claims produced $130,000 worth of gold. The so-called Central Hill Channel, an ancient river deposit from which vast quantities of gold have been taken, is located here. The Douglas Flat Schoolhouse is the oldest surviving schoolhouse in Calaveras County. 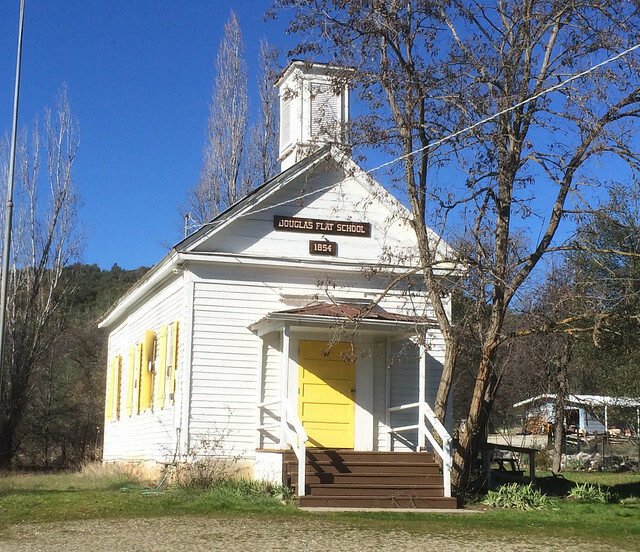 Built in either 1854 or 1856, depending on which history you read, the old school building stands today much in the same condition as it did back in the Gold Rush. The schoolhouse has served the neighboring community in a number of ways: church, Sunday school, kindergarten classroom, and school office. And it still functions as a meeting place for community activities. The rear portion of the building was added at some later date, and the building may have been moved to this spot from a location closer to Coyote Creek.